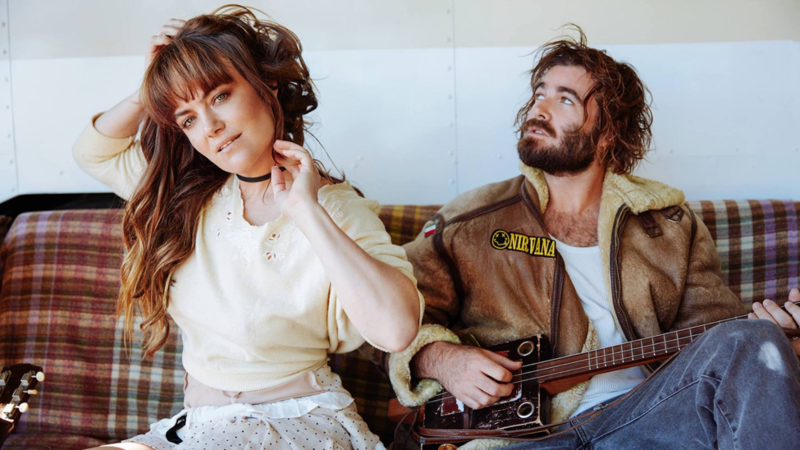 Indie-pop/electro-folk sibling duo, Angus & Julia Stone will be taking the stage at the Neptune Theatre on Wednesday, November 29th to show off their new album Snow. The night will be filled with stories of past love as the pair mix their vocals to bring the audience their perspective on the world. One of Snow’s singles “Chateau” represents the album well and tells the story of a timid new love. The siblings join one another as the song ends to beg, “don’t be scared of what you don’t already know,” which is a beautiful sentiment about taking risks. The Stones are also well-known for their hit single “Big Jet Plane” which helped the Australian duo breakthrough worldwide. With two musically inclined parents, the Stones were given a Von Trapp family band-style upbringing, but didn’t start performing together seriously until they were in their early twenties after Angus returned from traveling during a gap year. The combination of their voices over simple riffs sets them apart from other folk artists who sometimes shy away from harmonizing. Julia and Angus are reminiscent of Fleetwood Mac with their shared male and female vocals, along with songs that focus on love and relationships. Some of their earlier songs like “The Devil’s Tears” are true Sad and Slow Bops but otherwise they provide solid acoustic guitar melodies and soft voices for the whole family! I would recommend listening to Snow while doing something that feels very surreal, like laying on your childhood bed during winter break or walking to the coffee shop where your barista crush works so you can let the warm tones of the Stones be the soundtrack to your daydreams. Angus & Julia Stone will be joined by Luke Sital-Singh, a British singer-songwriter whose most played song on Spotify, “Fail for You” might be one of the saddest songs I’ve ever heard. Needless to say, I’m excited to get into my feelings while watching him perform and getting to know his music better. Did you snag tickets to see Angus & Julia Stone at the Neptune Theatre on November 29th before it sold out? If so, doors open at 7:00 PM and the show begins at 8:00 PM. Keep up with Angus and Julia here and Luke Sital-Singh here.